With the internet came the death of catalog shopping. 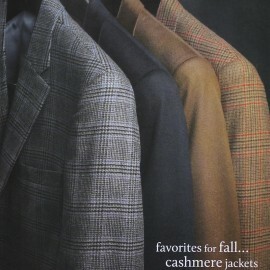 They’re still out there though, and Ben Silver has the best collection of catalogs around. 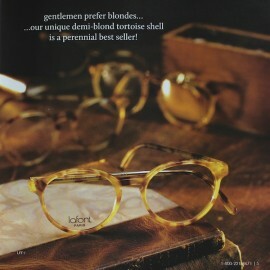 Separate booklets for clothing, shoes, neckwear, and eyewear, and each is packed with great images. Take a look. If you’re not familiar with Ben Silver, suffice it to say that they’re undoubtably one of the best purveyors of classic menswear on this side of the pond. They sell Crockett & Jones and Alden shoes, Anglo American and Lafont eyeglasses, Drakes accessories, and a huge smattering of house-label goods. 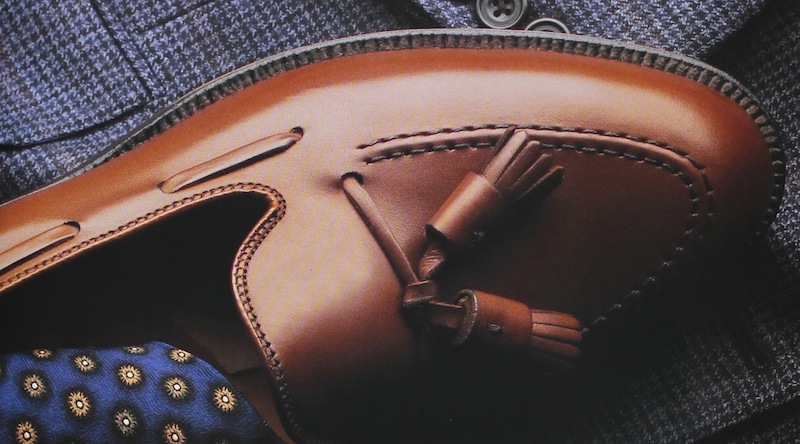 Everything from tweed jackets and cable-knit sweaters to cashmere socks and croc belts. Unlike a lot of shops who stock a house-label as a lower-price (and lower-quality) alternative to the “real labels,” Ben Silver gets all their garments from the highest quality manufacturers in the world. Nothing from them is less than top-drawer. And I’m not the only one who thinks so. I mentioned the catalogs to Bruce Boyer recently and his response was nothing short of a ringing endorsement: “In my opinion, the Ben Silver Catalog is the best traditional menswear catalog in the USA. The quality of every product I’ve ever bought — and I’ve been a customer for years — has been of the highest standard, the taste level accords with my own trad-with-a-bit-of-flair approach to clothes, and the service is first rate…And of course they have the largest collection of British silk regimental, club, and university ties to be found, an unending joy for the true Anglophile.” Not too shabby, eh? On to the catalogs themselves. First, the main line catalog. The tailoring really caught my eye. While the cut might be on the conservative side, the choices of cloth and styling certainly are not. 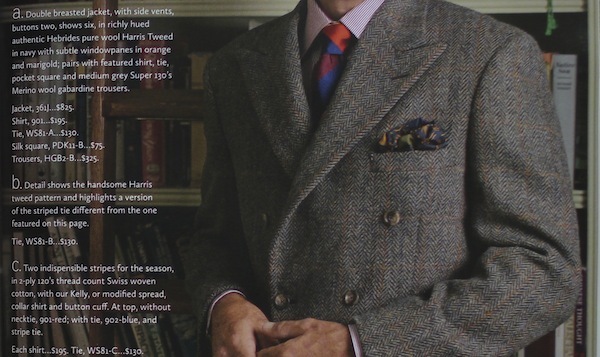 I’m typically not a fan of cashmere jacketing (bad combination of high price and low durability), but it’s hard not to drool over the checked cashmere sport coats. I also really like a double-breasted tweet sport coat. You don’t seen these too often – probably because it’s like wearing a space heater – but it might make a nice coat-replacement on the days you just don’t feel like throwing on the big stuff. 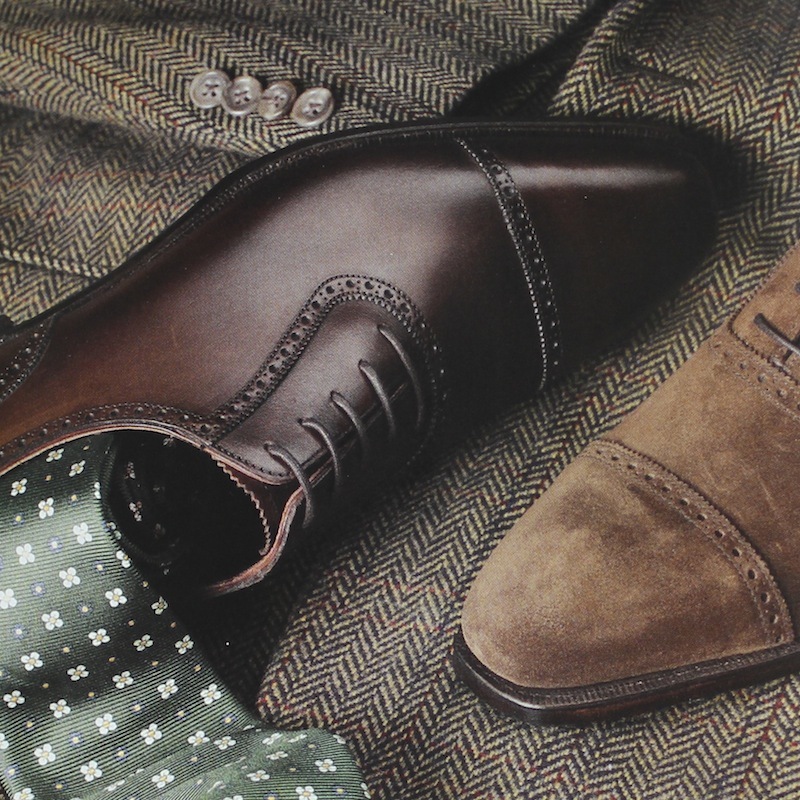 The shoe offerings, like I said above, included Ben Silver exclusives from Crockett & Jones and Alden, along with a few Italian casuals and American boots. 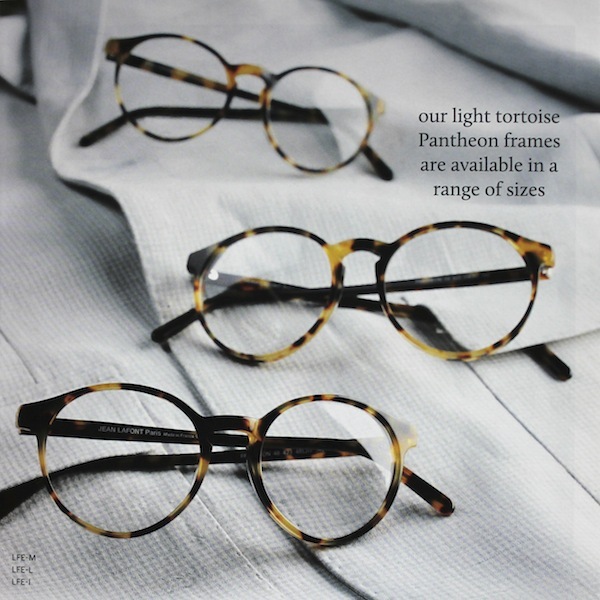 The glasses catalog is a dream come true. As someone who has worn glasses since I was a little kid, finding a brand that really “gets” how important glasses can be is refreshing. Each model is presented in a few colors and emphasis is placed on the general shape and how it relaters to the shape of other models. Rarely are glasses presented as seriously as other clothing, but Ben Silver has done so admirably. Overall I find Ben Silver’s aesthetic (if you’ll excuse my use of the word) really inspiring. They do proper “soft-dressing” really well. Loads of suede, tweed, lambswool, and corduroy keep things serious but not stiff. Also, to be totally honest, I really like that the clothes are styled on grown men doing real things. A shawl-collared cardigan looks much more at home over a tattersall shirt in an armchair with a book than it does “layered” over three shirts, two ties, and covered with a puffer vest like so many brands are prone to do these days. Real clothes on real guys living real lives. That’s what we’re all about here at Simply Refined. If you want to get your hands on the catalogs, they’re free from Ben Silver’s website. They don’t know I’m writing this piece or placing this link – I really do recommend you take a look. I must have at least 50+ BS catalogs.. I haven’t thrown them away.. Great inspiration keepers. Now what I will say is I think the staff is getting a little dated as being models of the clothing..